Four people were injured in a multiple car smash between junctions 34 and 35 of the M6. Police said they received reports of a multiple pile-up at 11.04am. 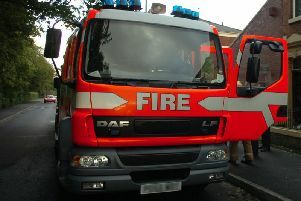 Lancashire Fire and Rescue Service and North West Ambulance Service raced to the scene. Three women and one man were treated at the scene for their injuries. The injuries were not serious or life threatening. Police used a loud speaker to tell motorists to stay in their car whilst the emergency services worked at the scene. The third lane of the motorway was reopened at 12.05pm. Motorists were caught up in delays as a result of the accident, which blocked the motorway.